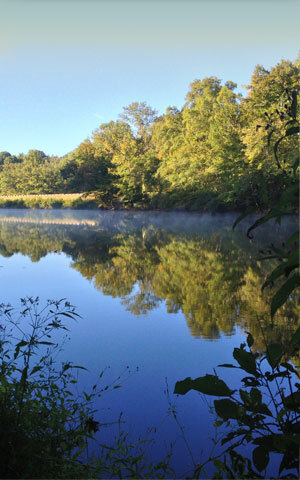 Consisting of three rivers and two lakes spanning Halifax and Mecklenburg counties, the Southern Virginia Wild Blueway offers a paddling experience unlike anywhere else in the country. State law requires a U.S. Coast Guard-approved personal flotation device for each person on board. 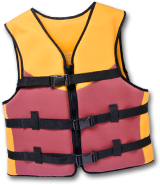 All paddlers under age 16 must wear a life vest at all times. Choose a route that suits the experience level of your group. Check water levels, wind and weather conditions before your trip. Be alert for changes in weather. Leave a note with family, friends or your hotel about where you’re going and when you plan to return. Carry a whistle and a cell phone. Sometimes a trip will take longer than you expected. Bring a flashlight just in case. Point your bow into powerboat wakes. Don’t assume powerboaters can see you. Don’t drink alcohol and paddle. Additionally, always be aware of your surroundings while on the Blueway. Avoid harassing wildlife or negatively impacting the environment, and always properly dispose of litter and waste. Obey all “Private Property” and “No Trespassing” signs and never assume you are on public land unless you know for sure. Weather conditions can change quickly. Check the latest forecast and be prepared for any possible weather situation. Our rivers and lakes are some of our greatest natural treasures. We encourage residents and visitors alike to learn how to become involved in protecting these great resources. The Dan River Basin Alliance and Upper Reach offer ways to get involved. © 2019 Southern Virginia Wild Blueway. All Rights Reserved.